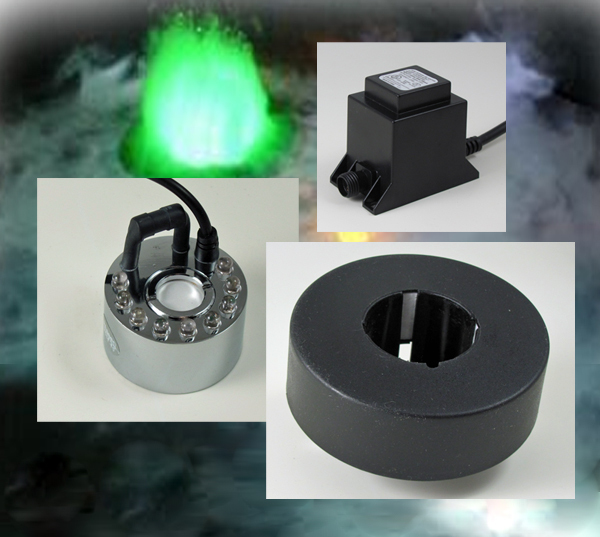 The Floating fogger with LED lights adds a dramatic touch to any fountain or pond. The lights change color (R,G,B) while the fogger in the center produces the fog/mist. 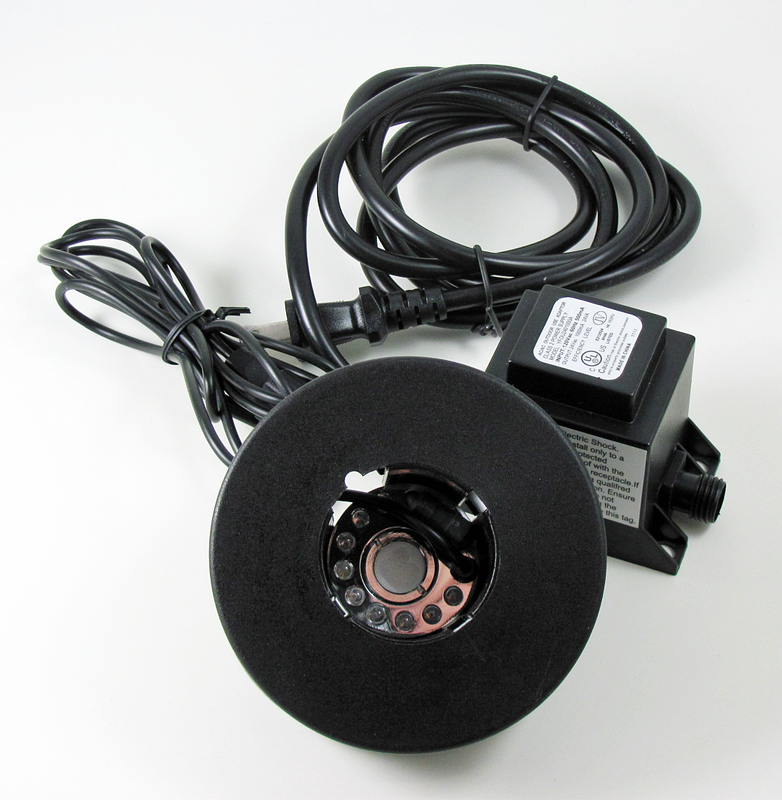 The built in float allows the unit to be placed on the water's surface of any pond, fountain or even small container water garden (think caldron for you Halloween types). When used in ponds and fountains at night you will get a very nice effect of fog floating above the water's surface and the lights make the fogg seemingly glow. 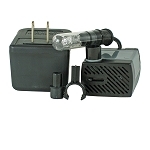 Easy to set up and comes complete with float and fogger base with very quiet Teflon coated fog generator disk with 9 LED lights and also includes a replacement generator disk. 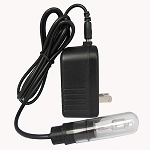 This item works with any type of water and requires no chemicals to be added to produce the fog. It is safe with the added benefit of producing fog that can help increase humidity in dry areas. Plants love it. Another use is for fragrance dispersal. Almost all health-food stores now sell essential oils and fragrance oils which can be added in the center of the unit to produce fog with whatever fragrance you prefer. Transducer created fog/mist is delivered by ultrasonic waves that drive a disk which smashes the water into tiny droplets that float. This system produces a cold mist without the use of chemicals. This fog is heavy and will not travel beyond your container unless your container is less than 10 inches in diameter. However, we don't recommend using this in an area that could be damaged by moisture. This unit will use up to a quart a day of water and the base has a built-in safety switch to shut off the unit if it begins to run dry. You will need to have about 2 inches of water but a maximum 1/2 inch of above the safety switch will yield the best results. Too much water and the mist will not rise above the water. Water level is somewhat a trial and error process depending on the effect you seek. The ceramic or teflon coated disk that produces the fog will wear over time but is easily replaced and takes only a few minutes.